If you want to add rich red to your food, along with some flavor, stock your pantry with one of eight scarlet-hued spices. 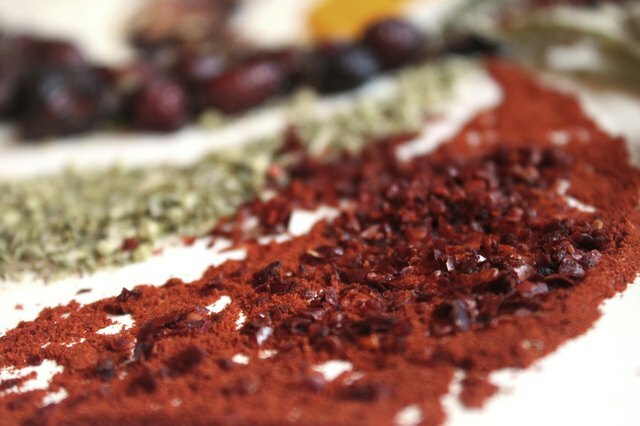 Some red spices might be harder to find than others in a standard supermarket, but most are readily available. 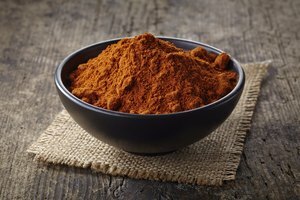 With its vibrant red hue and varied flavors, paprika is a pepper-based spice that adds red to dishes including tandoori chicken and Spanish chorizo. The varieties of paprika range from mild to fiery, delicate to strong, smoked to sweet. This versatility means you can use it as a coloring agent in almost any food and, regardless of style, it always adds a deep, warm aroma and flavor. Cayenne pepper can sometimes tend more toward orange or yellow, but most cayennes are distinctively red. It is a fiery spice you should use with caution, as even a pinch too much can render a dish so hot it's inedible. To temper its fire, it is often blended with other, milder spices rather than being used entirely on its own. 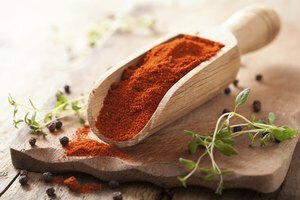 Often a blend of different dried chilies as well as salt, pepper, garlic and other spices, chili powder is -- of course -- primarily used to flavor a pot of chili. Some chili powders are not blends and are usually labeled with the name of the individual chili used, such as ancho, habanero, or chipotle chili powders. Chili powder gives a bowl of chili its red color and deep, spicy flavor. 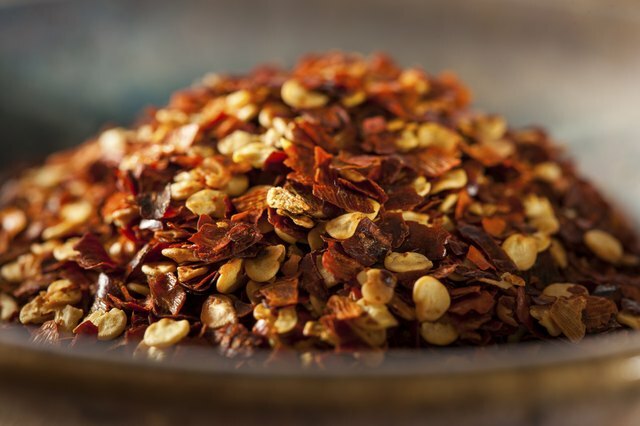 Red pepper flakes, or crushed red pepper, is what you will find on the table at a pizzeria. It usually contains dried bits of different peppers of varying heat levels as well as their seeds. Red pepper flakes add texture as well as heat and color because the peppers are not completely ground to a powder. Because the heat levels of the peppers involved vary, use it sparingly at first so you don't overwhelm your food. 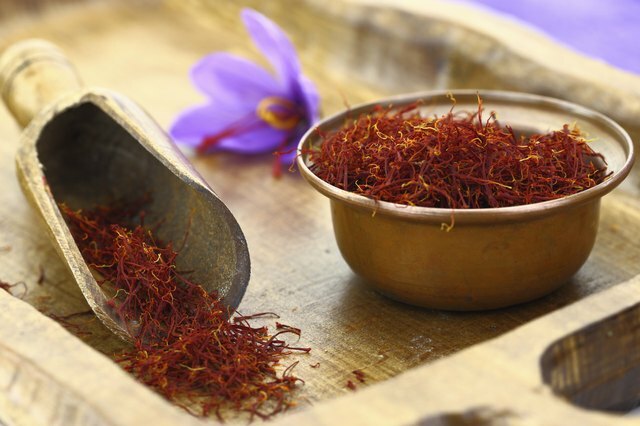 Legendarily intense and expensive, saffron is one of the world's rarest spices. Its aroma is both delicate and strong and its flavor is both sweet and bitter. While the threads of saffron are a deep red color, once they come in contact with hot food or liquid they will turn it a vibrant yellow. It's used to flavor and color rice dishes, including saffron rice and paella. 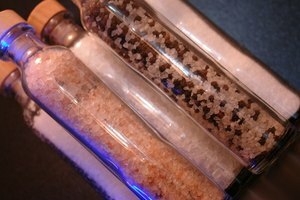 Hawaiian red salt has a stunning deep red color that comes from Alae, or the volcanic clay soil that makes up much of the islands. This addition gives the salt an earthy flavor that goes well with traditional Hawaiian ingredients such as pork and fish. It also adds visual appeal when sprinkled on top of a dish. 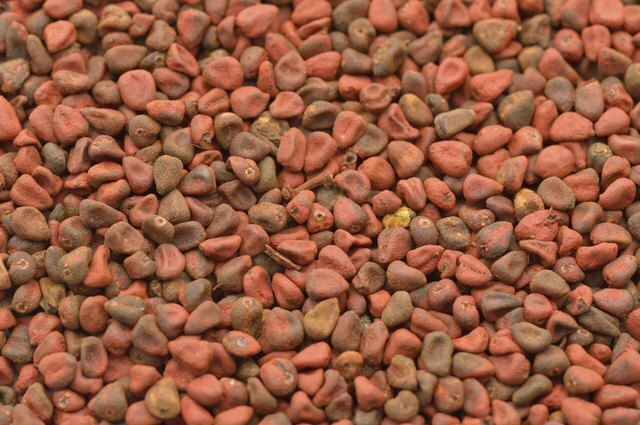 While annato seed may not be a typical household spice, it is a major ingredient in achiote paste as well as adobo and shows up often in Mexican and Caribbean dishes. 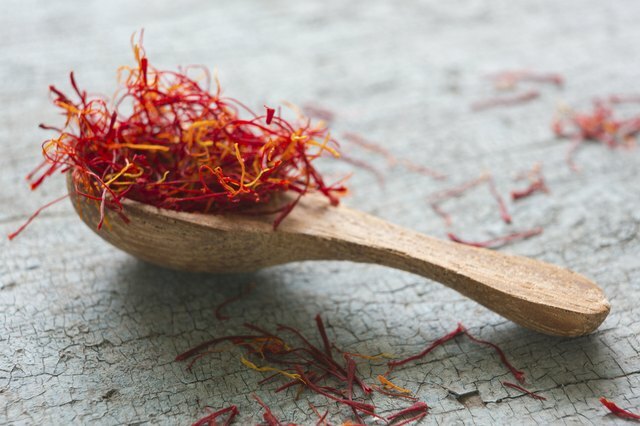 Its seeds are a deep, almost burgundy red color but, much like saffron, the color changes to an orange-yellow hue when cooked. 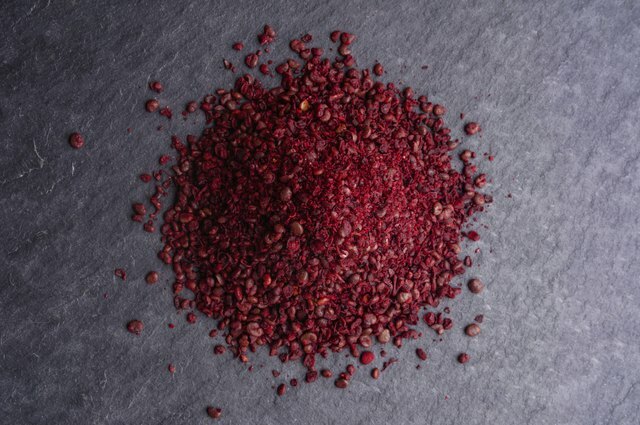 Sumac is widely used in Middle Eastern and southern Mediterranean cuisines. The berries are a dark, purple-red color and are often ground into a powder. 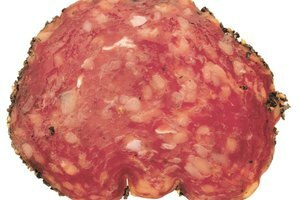 Sumac has a sour quality, comparable to lemon, but is more aromatic. 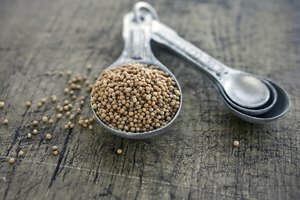 It is a prevalent ingredient in many spice mixes around the Mediterranean, most famously in za'atar, a blend including sumac, sesame seeds, thyme, hyssop and oregano, found throughout the Middle East.